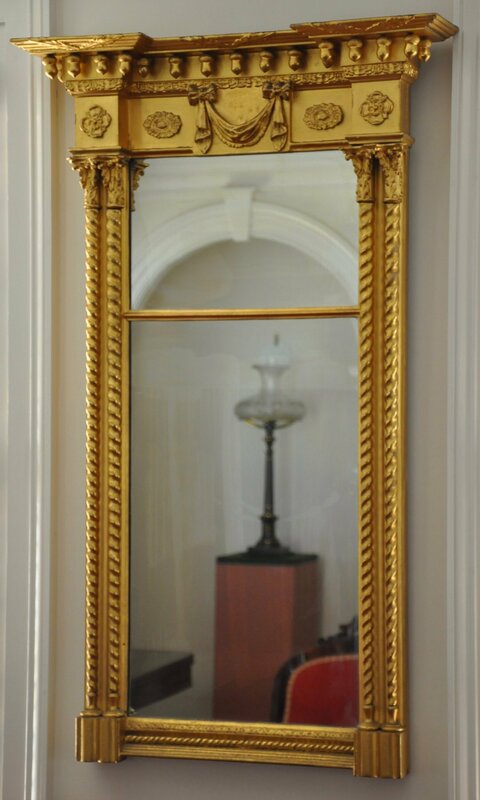 This beautiful Classical mirror retains most of its original bright and matte gilding, backboards, and mirror plates. The cornice is adorned with gilded acorns with sanded tops and the central panel frames a swagged drapery motif. Paired spiraling columnettes frame the mirror and are topped with foliate capitals.